You can either call us,email us or visit our nearest branch.The contact information is provided on the contact page. How can i search my relevant information on the webpage? The website has site map page which easily identifies where particular information is posted. What do color codes mean in LGS website? LGS has assigned color codes to all of its 8 branches.Please refer to contact page for easy understanding. How would i know if school gets closed due to some uncertain situation in the city? Please follow our website for all Urgent Notices. What if i am unable to contact school office for getting latest news and events updates? 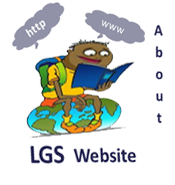 Please remember that all latest news and events updates are posted on the LGS website regularly. If you do not follow our website you may miss out the details.Please remember that LGS administration will not be held responsible if this guideline is not followed. How would I know if there are new pictures added to the gallery page? You would see new gallery pics uploaded alert on the gallery page. How would I know when exam results are announced? You can go to Admissions page and look for Result Day Alert. Does LGS website provide Google map direction feature? YES, Google map feature is provided on contact us page. How can alumni get their information posted on website? LGS website provides a separate page for its alumni (ladybirdians), please download alumni form and visit your respective branch for registration. How will I find latest news and updates if website goes offline? How would i know about website maintenance? We will let you know in advance about the date and time when website will go offline for maintenance. Mostly this will happen from Saturday evening to Sunday evening.